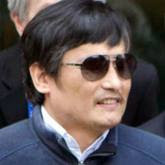 Chen Guangcheng, a pro-life activist in China, made the fatal mistake of seeking help from the US Embassy in China. He was under house arrest in his home province, but other human rights activists made enormous sacrifices, risking their lives to elaborate a plan for him to flee to the US Embassy, where everyone thought refuge was guaranteed. Everyone hoped he would ask for asylum, but the developments, unfolding in view of the international media, took an untoward turn. Chen, who is blind from childhood and has health problems after years of prison and torture, was promised by American authorities that he could stay in China and receive medical treatment, with an American companion present at all times. As reported by the press and the US Embassy, Chen himself “wanted” to stay in China. This “decision” freed Hillary Clinton from diplomatic and commercial complications during her visit to China. After all, America has immense commercial interests in China, and Chen was being a thorn in the side for the Chinese and American governments. Hillary was satisfied with the Chen’s “decision” not to seek asylum, saying that his exiting the embassy reflected his “choices” and the “values” of the USA. Meanwhile, the American officials breathed a sigh of relief at being able to return this thorny problem back to the Chinese! However, after his transfer to a hospital in Peking, no American official stayed with him. The American commitment, made to a desperate soul, was insincere. “They pressed me to leave, they promised that there would be people with me in the hospital, but when I entered my room, I perceived that everybody had left,” Chen revealed, according a report by the Brazilian newspaper Estadão. When contacted at the hospital by the international media, he admitted the obvious: he could not request asylum from the US government, because his family was under a direct death threat and he was under pressure. According to his statement, if he dared to leave for America, Chinese authorities would have killed his wife and children. Embassy officials were indifferent and evasive, stating they had not heard about any threat or pressure on Chen. Evidently, according to them, the entire sacrifice made for Chen to arrive at the embassy was just a noble gesture, sort of a way of saying “hi” to the Americans. Nothing else. After six days of being sheltered in the embassy and saying “hi,” at last the Chinese activist “chose” to leave and to stay in his homeland, to the relief of the Chinese and American governments,. Chen’s “choice” greatly pleased the US government, because Chen is not the kind of activist that American authorities would have wanted to help. Barack Obama and Hillary Clinton are shamelessly pro-abortion, while Chen is pro-life. Any individual, no matter how important, who is cruel enough to defend the murder of innocent unborn babies is capable of committing any other sin, including deceiving and lying to a poor, oppressed blind Chinese man who sees more of the true value of life than most representatives of the Chinese and American governments. The communist government in China had always lied to the Chinese people and to Chen. And now Chen has the unpleasant experience of enduring attitudes that are not very different and total abandonment by a government that claims to stand for human rights, a government he had supposed was radically different from his. But what would have happened if the US government had not been deceptive and if Chen had been granted asylum in the US? Would he have pursued his cause of denouncing the crime of abortion? In that case, the aim of the accusations would have been US officials themselves. This would certainly have been a major problem! The kind of human rights work carried out by Chen doesn’t have the US government’s sympathy. For 39 years, pro-abortion law has reigned in what was until recently the biggest evangelical nation in the world. If it is horrific for a communist nation like China to defend abortion tooth and nail, what about an evangelical nation? The fact is, self-proclaimed “evangelicals” Barack Obama, Hillary Clinton, Bill Clinton and other powerful American officials have no any interest in rescuing men that publicly plead for the rescue of the unborn. Chen’s presence in the US Embassy in Peking was an inconvenience. His presence in America as a prominent pro-life activist would be a bigger inconvenience. And yet if Chen were a homosexual activist, his presence in the embassy would be welcomed. Obama and Clinton would be highly supportive. In fact, since December of 2011, US embassies and consulates have been ordered by government to grant preferential treatment to gay activists. 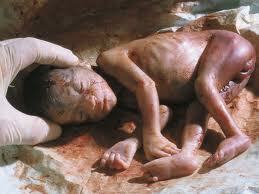 For the US government, meeting homosexual demands is vastly more important than stopping the murder of unborn babies! Perhaps, under pressure from the countless pro-life Americans, Obama may still act against his own pro-abortion conscience and give a chance to a defenseless Chinese surrounded by oppressors in the service of the State. Perhaps. 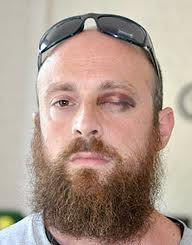 However, certainly, his oppression will not end in America, where pro-life activists are viciously arrested by police for the “crime” of praying in front of an abortion clinic, while murderous physicians and employees serenely kill babies under the protection of a law that, in many respects, is no better than Nazi law, which relegated Jews and other defenseless human beings to a class worthy of extermination. In America, unborn babies fall in that unhappy category. 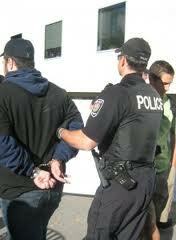 American police arrests a young man that was praying in front of an abortion clinic. In America, abortion is legally sacred.